Managers often talk about the importance of establishing a customer service culture. Unfortunately, employees often do not know what that means because they do not receive training to help them understand their role in the process. This article outlines four key elements of a positive customer service culture. 1. Make internal customers a priority. Internal customers or employees are crucial to the success of any organization. These people are the lifeline of an organization and provide services (e.g. human resources, accounting, security, products, and support services) to one another that allow them to provide the best possible service to external customers. If employees do not feel valued, they likely will not take ownership and responsibility for their role in making sure that external customers receive the exemplary service that they deserve. Some simple ways to help ensure employees feel valued include, ongoing customer service skills, product and service training, up-to-date service technology (e.g. computers, databases, and communication equipment), inclusion in communication, empowerment in decision-making, competitive salary and benefits, opportunities for advancement and overall respect for what they offer and contribute to the organization. 2. Treat external customers as crucial to organizational success. The reality of today’s globally competitive business environment is that your customers often lack loyalty. The differentiating factor for successful companies is the stellar customer service that they offer their customers. Pricing and product differentiation are easy to match in many instances. Competition is often only an Internet search away. For these reasons, every employee must own responsibility for making every person with whom they come into contact feel “special” and valued. This is especially true when interacting with customers via faceless technology (e.g. online chat, telephone, text or email). Operation and functioning of any service technology used. Organizational product and services familiarization. Interpersonal communication skills (e.g. verbal, nonverbal and listening skills). How to interact with all types or customers from differing backgrounds (e.g. gender, cultural, race, religion and various abilities). Included in communications via newsletters. Can access intranet information postings. Receive regular updates and attend product, services, and skills training. Participate in periodic (e.g. quarterly) group meetings with executives. In the latter sessions, the executives typically update employees and elicit input, questions and complaints, then have managers immediately act upon valid points identified. Ultimately, successful service organizations create an environment in which providing stellar customer service is a strategic initiative. Both internal and external customers are valued for what they provide to the company. They are key elements of a positive customer service culture. Working in a diverse world can present interesting, yet sometimes challenging, opportunities for today’s customer service representatives. If you earn your living by providing products and services to others, you should invest time and effort to learn about nonverbal differences in cross cultural communication. It is sometimes easy to forget that your values, beliefs and practices are not universal. This is especially true related to nonverbal communication cues (body language) that people around the world use to send and receive messages. The following are two nonverbal differences in cross cultural communication for you to consider. Sitting postures. There are various ways that men and women cross their legs when they sit. Depending on the customer with whom you are interacting, you might send a negative message if you are not careful. For example, many men from Western cultures assume a relaxed posture when sitting and cross one leg over the other at the knee so that their foot points either right or left. This could potentially cause offense to customers from certain cultures. The alternative way for men to cross their legs at the knee is to put one over the other so that the top leg simply hangs down or dangles. Some men are physically uncomfortable with this posture or view it as a homosexual manner of sitting, depending on their culture. As a result they often avoid this posture. In England and other parts of Europe, the latter posture is the culturally proper way for a man to sit, especially in a business or more formal setting. Women in many cultures are taught that ladies do not sit with their legs apart and that they should cross their legs either at the knees with one leg draped over the other (as described for men) or tightly at the ankles. In Korea and Japan where physical balance and control of one’s life is an important value, people often do not cross the legs, but simply sit “squared” in an upright or fairly rigid posture, with both feet on the floor and their hands resting on their knees as they talk. Touching. 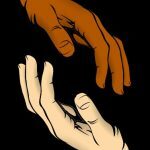 The study of touching in nonverbal communication (haptics), has been explored by researchers for years in an effort to better understand how people from different cultures use and react to touch. There are many touching gestures used that have multiple meanings. Consider the reaction of a stranger that you accidentally rub against a woman in a crowded room compared to a regular customer whose hand or arm you intentionally touch during a business greeting or handshake. Depending on their culture, they may react in totally different ways. For example, in the Middle East there might be a loud outcry and accusations of molestation or an offense against their virtue. In other cultures, there might be no second thought given to the episode. Of course, the outcome scenarios might depend on the manner and context in which you rubbed against them or in which you touched their hand or arm. The importance of understanding how people from around the world interpret what you might consider as an innocent gesture cannot be understated. For example, many adults in some cultures have a habit of patting the head or caressing the hair of a small child as they comment to a parent about how cute or sweet the child is. In Western cultures, many people might think nothing of this act. However, in countries like India, Singapore, Taiwan, Sri Lanka or Thailand, this could be viewed as an offensive gesture. That is because the head is believed to be the seat of the soul. By touching it, you might be wishing ill upon the person or disrespecting the cultural belief. To further complicate the issue of touch, people who are more introverted or who tend to be more task-oriented, rather than people-oriented, often protect their personal zone. They typically do not like others intruding on it or touching them, especially strangers. 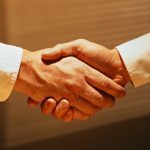 This is why the general rule of thumb in the workplace or business setting is that the only appropriate touching is a professional handshake in Western cultures, and the appropriate greeting in others (e.g. hug, bow or cheek kiss). Explore this blog to learn more about nonverbal differences in cross cultural communication and how to effectively use nonverbal cues in diverse customer service situations. You may also want to get a copy of Please Every Customer: Delivering Stellar Customer Service across Cultures. Many customer service representatives give little thought to the way that they sound to their customers. Typically, they have not received customer service skills training that addresses effective verbal communication. Similarly, they likely have not taken college or professional courses on effective interpersonal communication. The result is that they do not know how to improve their verbal communication with customers. Following are three areas related to verbal communication that can have an impact on your success when you interact with your customers. Articulation (sometimes called enunciation or pronunciation) refers to the clarity of your word usage. For example, if you tend to slur words (Whadju say? or I hafta go whitja) or cut off endings (goin’, doin’, gettin’, bein’), you can distort meaning or frustrate some customers. This is especially true when communicating with customers who do not speak English well and with customers who view speech ability as indication of educational achievement or your ability to assist them effectively. If you have a problem articulating well, practice by gripping a pencil horizontally between your teeth, reading sentences aloud, and forcing yourself to enunciate each word clearly. Over time, you will find that you slow down and form words more precisely. 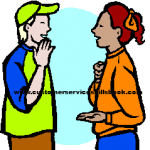 Pauses are another tool that you can use in verbal communication with customers. Pauses can have either a positive or negative impact depending on how you use them. From a positive standpoint, they can be used to allow a customer to reflect on what you just said, to indicate that you are waiting for a response, or to verbally punctuate a point you made or a sentence. The latter is done through intonation and inflection in the voice, or. On the negative side, you can irritate someone through the use of too many vocal pauses or interferences. 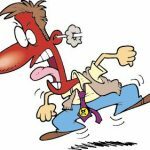 The pauses might be audible sounds (“uh,” “er,” “um,” “uh-huh”) and are often used when you have doubts or are unsure of what you are saying, not being truthful, or nervous. They are sometimes called verbal fillers. Silence is a form of implied communication that can be used in a number of ways, some more productive than others. Many customer service representatives have trouble dealing with silence in a conversation. This is unfortunate, because silence is a good way to show respect or show that you are listening to the customer while he or she speaks. It is also a simple way to indicate that the other person should say something or contribute some information after you have asked a question. The topic of interpersonal communication cannot be addressed adequately in a single post due to its complexity. There are many factors that impact it. For example, in addition to the way that you communicate, you have to consider factors related to your customers (e.g. example, age, gender, diversity factors, and education level). To expand your knowledge of the topic of verbal communication with customers, I suggest that you view other posts in this blog, search the Internet, read books, and attend workshops on the subject. There are many elements in a service environment that contribute to a customer-centric atmosphere. One of the key components for building customer satisfaction is sound interpersonal communication. Effective verbal, nonverbal and written communication with customers are simple and inexpensive ways to ultimately gain customer loyalty. Simply put, you must be able to articulate or clearly explain (verbally and in writing) information in a manner that customers can comprehend and act upon. Otherwise, they will not believe in you or your organization. To that end, you must provide more than facts and figures; you must send a message of sincerity, knowledge, and honesty during each encounter. Never forget that customer-provider relationships are based on personal interactions, not on policy and procedures. As you communicate with your customers, project your feelings and emotions by being positive and enthusiastic. Let customers know that you are human and approachable. Also, communicate frequently and keep your customers informed. This is especially important when a problem has occurred or they are awaiting a product or service that has been delayed. In such instances, you must update them regularly. Failure to do that can lead to frustration and a belief that you are lying or trying to hide something from them. The result of such perceptions could be that they might cancel their order, complain, or take their business elsewhere. They are also likely to tell others about their disappointing experience in person or via social media. Building customer satisfaction is not that difficult. It is to your advantage to continually upgrade your knowledge and skills in order to build or hone your communication skills. By doing so, you can better ensure that the message you intend always reaches your customers. Check with your organization’s training department for classes or resources they might offer. If those resources are not available, do an Internet search for podcasts, webinars, book articles, blogs and other free sources of information or training. For example, YouTube has an assortment of video segments on various customer service skills and communication topics. 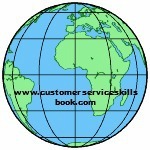 There are also several books on customer service available at http://www.robertwlucas.com/books-by-robert-w-lucas/. Microsoft has conducted a customer service survey across the US, Brazil, Germany, the UK and Japan. In all they polled 5,000 consumers about customer service preferences and expectations. 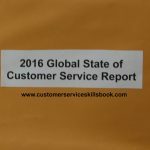 On Tuesday June 14th, 2016 at 2:00 pm Eastern Daylight Time, Microsoft’s general manager of customer service solutions, Bill Patterson, will overview key elements of their 2016 Global State of Customer Service report in a free webcast. Attendees will receive a complimentary copy of the report following the event. Customer service representatives and their organizations face ongoing challenges related to building stronger customer relationships, creating brand and customer loyalty and reducing customer churn. Thus, the findings of this survey should prove interesting and valuable for any manager or employee. For more information and to register, visit http://bit.ly/1PEAqNR. For more information on the state of customer service and the skills needed for more effectively interacting with customers from all types of backgrounds, check out Customer Service Skills for Success and Please Every Customer: Delivering Stellar Customer Service Across Cultures. Most organizations struggle to find ways in which they can build customer loyalty and reduce customer churn. Many of these companies spend large amounts of money and time creating costly reward programs, sending out expensive marketing materials, and investing in expensive customer relationship management systems. While each of these components have value and contribute to customer satisfaction; the following are three proven strategies that build customer loyalty can be used by customer service representatives. 1. Become a trusted customer resource. Customers often encounter life challenges that require expertise beyond their capabilities. For example, an electrical light switch stops working, a toilet starts leaning, their computer starts giving error messages, or they start experiencing problems with their car. In each of these instances, people will often turn to a reputable source for assistance to help resolve the issue. If you are that source, take the time to listen empathetically and then demonstrate that you have the knowledge and expertise to assist them. By effectively and efficiently helping navigate the problem and coming to a speedy and cost-effective resolution, you can show value for the products and services that you and your organization provide. You can also increase customer satisfaction and help ensure that they will return to you again in the future. Keeping your word and meeting agreed to timeframes and commitments. Being consistent and reliable in your service delivery. Providing quality products competitive warranties and guarantees. 3. Address service breakdowns professionally. Things do not always go the way you plan. An unexpected delay may necessitate a schedule modification or a product may fail to perform as expected or promised. When such glitches occur, take the opportunity to listen to your customer and immediately take the appropriate action(s) to address the situation. Work professionally to identify the issue and cause, and then negotiate an acceptable remedy. By showing that you are committed to resolving the issue to the customer’s satisfaction in a timely manner, you can retain their trust and confidence that you are working in their best interest. By taking these three simple steps as a customer service representative, you can assure your customers that you are interested in meeting their needs, wants and expectations. You also show that you will put forth the effort to ensure that they are satisfied. What are other customer loyalty strategies that you use, or have experienced, related to building customer loyalty? 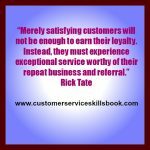 In addition to the three proven strategies that build customer loyalty listed above, you can find many additional ideas for building and maintaining strong customer relationships in these resources – Customer Service Skills for Success, Please Every Customer: Delivering Stellar Customer Service Across Cultures and How to Be a Great Call Center Representative. During interpersonal communication, assumptions can sometimes result because of culturally specific understandings. Preconceived ideas can often cause relationship breakdowns and misunderstandings when dealing with a customer who speaks a different language. Even so, there are ways to avoid assumptions when communicating across cultures with someone who speaks a different native language than you do. If you must assume, then assume that your customer is an intelligent and competent person with whom you can communicate. Then, work with a positive, “can do” attitude to help ensure you that understand one another correctly. Recognize that raising your voice when dealing with someone who speaks another primary language is useless. For some reason, many North Americans feel that if they raise their voice to someone who does not speak English well, that the person will understand what is being said. An example of how communication can break down between people from different backgrounds was seen several years ago in the popular movie Rush Hour, starring actors Jackie Chan and Chris Tucker. In that movie, both played police officers, Tucker from Los Angeles and Chan from Hong Kong. They met at the Los Angeles airport when Chan flew into town. Here is a synopsis of a scene in which Tucker goes to the airport to pick up a Chan. Such actions do little to enhance communication. In fact, yelling or changing tone does nothing to enhance understanding and may well anger or embarrass your customer. It certainly makes you look foolish. Just because a customer is unable to speak English, does not mean that he or she is hearing impaired. To prevent embarrassment and degradation involving customers, take time to research various cultures. Try to learn some basic phrases spoken by foreign-born customers who frequently do business with your organization. By improving your cultural awareness, global knowledge, and communication skills you can improve the chances that you will provide excellent service to a customers. For additional ideas on how to successfully avoid assumptions when communicating across cultures, check out Please Every Customer: Delivering Stellar Customer Service Across Cultures and Customer Service Skills for Success. Gaining customer loyalty and getting repeat business are crucial for organizational success in today’s global business world. Too many managers and small business owners do not recognize that customer loyalty is not just about competitive pricing and product line offerings. With competition being literally a mouse click away, the differentiator between companies is often the level and quality of customer service that they provide. If companies fail to personalize service, empower customer service representatives to effectively and efficiently serve customers, and invest in the latest service technology, they are likely to suffer from customer churn. Unfortunately, many organizational leaders have not recognized the need to adopt customer service as a strategic initiative. They also fail to identify consumer trends and go to the effort of meeting changing customer needs, wants and expectations. According to the 2014 American Express Global Customer Service Barometer, 62% of 1,000 American consumers surveyed believe that companies “meet customer expectations.” Only 5% of those surveyed said that interactions that they had with companies “exceeded their expectations,” while 29% thought that companies usually “miss their expectations.” Companies, such as, Radio Shack, Borders Books, Blockbuster and Circuit City have paid the price of failure for failing to read and meet customer needs and expectations. Other organizations that are teetering and struggling to regain or maintain market share include Sears, JCPenney, Best Buy and the U.S. Postal Service. The simple solution for gaining customer loyalty and getting repeat business is to make every customer experience positive. By investing in customer service skills and communication training for all employees, upgrading equipment, processes and policies regularly, and looking at service through the customer’s eyes, customer loyalty and satisfaction is attainable. For additional ideas on ways to improve customer service in any organization, check out Please Every Customer: Delivering Stellar Customer Service across Cultures, Customer Service Skills for Success, and How to Be a Great Call Center Representative. There seem to be a number of issues that are driving the anger that many customers display when dealing with customer service representatives these days. Contributing factors might include the economy, displeasure with government, unemployment, perceived poor service in general and many other challenges facing society. The reality is that, as a customer service representative, you cannot solve these problems or resolve all of your customer’s concerns. However, what you can do is to control the approach that you take when handling angry customers. Dealing with disgruntled people requires a certain amount of caution, especially in a time when so many people are becoming violent in response to what they perceive as issues beyond their control. For effectively handling angry customers, you must first help the customer move beyond the emotions of the moment. You can then potentially discover the reason for their anger or frustration. Before dealing with customers in general, check with your supervisor to find out what your organization’s policies are. Also determine your level of authority for making decisions related to problem resolution. Having this information before a customer encounter provides the tools and knowledge you need to better handle your customers effectively and professionally. The following are customer service skills and strategies that you can use when handling angry customers during service breakdowns. Be positive. Tell the customer what you can do rather than what you cannot do. Remain objective. Remember, angry customers are usually frustrated with the organization, product, or service that you represent, not at you. Acknowledge the customer’s feelings or anger. By taking this approach, you’ve acknowledged the customer’s feelings, demonstrated a willingness to assist, and asked the customer to participate in solving the problem. Reassure the customer. Indicate that you understand why he or she is angry and that you will work with them to resolve the issues. Listen actively to determine the cause of their anger. Who is “right” or “wrong” makes no difference when handling angry customers. Actively listening and trying to discover the true issue will assure the customer that you are trying to take care of it for him or her. Avoid language that might inflame the situation. Negative words such as problem, no, can’t and you (directed at the person and indicating that they did or did not do something they should have) can be like throwing gasoline on fire when dealing with an emotionally charged person. Negotiate an acceptable solution. Elicit ideas or negotiate an alternative with your customer. Ask open-ended questions that make the customer feel that they are in charge of the situation and have some power. For example, “What do you feel would be an acceptable solution to this matter?” Remember that, with some exceptions, most people are typically reasonable and not out to take advantage of the situation when they feel that you are truly acting in their best interest. They just want to be “made whole” again. In other words, they want what they were promised or paid for and to be compensated for their inconvenience. Conduct a follow-up. If possible, follow-up as soon as you can with the customer. Don’t assume that the organization’s system will work as designed or that the customer was completely satisfied. By taking this extra step, you are recognizing the customer as an important person to you and the organization and letting them know that you really are working with them to resolve their issue(s). This can go a long way towards getting the customer to generate positive word-of-mouth publicity. There is no guarantee that these strategies will always work when handling angry customers. However, they provide some basic communication skills and service strategies for helping customer service representatives create a positive outcome to a negative situation. This can ultimately contribute to enhanced customer satisfaction and brand loyalty. Customer service representatives in the United States (U.S.) are often not prepared for the challenges of serving customers from different cultures. This is especially true related to understanding other cultural values and effectively communicating. This is often because many people have never traveled outside the borders or the Continental U.S., nor have they taken time to research subtle differences in communication styles between cultures. In an ideal world, organizations would provide training on the topic to all employees, but the reality is that most do not. As an example of how perceptions might differ when communicating, consider the fact that various cultures take a different view of silence during an interaction. For example, North Americans are often viewed by people from some cultures (e.g. Asian) as talkative, aggressive, and boastful. If you are from the United States or Canada you might view a customer from Japan or China as being indifferent or lacking an opinion during a discussion when they do not readily have a strong response or opinion to something that you say. They may appear to simply be listening or hesitant to respond. In reality, many people from Eastern cultures have been taught to be reflective, quiet and to observe. If the person to whom they are talking is older or of a higher socio-economic status, they are also taught to quietly pay respect and listen to those people. This is contrary to what many people from Western cultures are often used to, which is to speak up and voice an opinion or ask a question. In either instance, there is a chance that because of misunderstanding on both sides of the conversation there could be a breakdown in communication or the customer-provider relationship. By learning how to effectively interact with customers from differing backgrounds you can improve your chances of creating customer satisfaction. You can also potentially reduce customer churn and help develop better brand loyalty. Check out Please Every Customer: Delivering Stellar Customer Service across Cultures for additional thoughts and strategies on effectively serving customers from different cultures and backgrounds.